Smells so good you practically want to eat off the floor. We don't recommend it but it is good to know this no-wax formula is non-toxic and biodegradable. Non-toxic people-and pet friendly floors so no one gets hurt and everyone is happy. Clean your floor in fewer sweeps no soap puddles to jump in suitable for all surfaces. 739ml Bottle; Recyclable plastic bottle. This cleaner is based on good old fashioned baking soda a blend of biodegradable and non-toxic surfactants and natural lemon ginger fragrance. 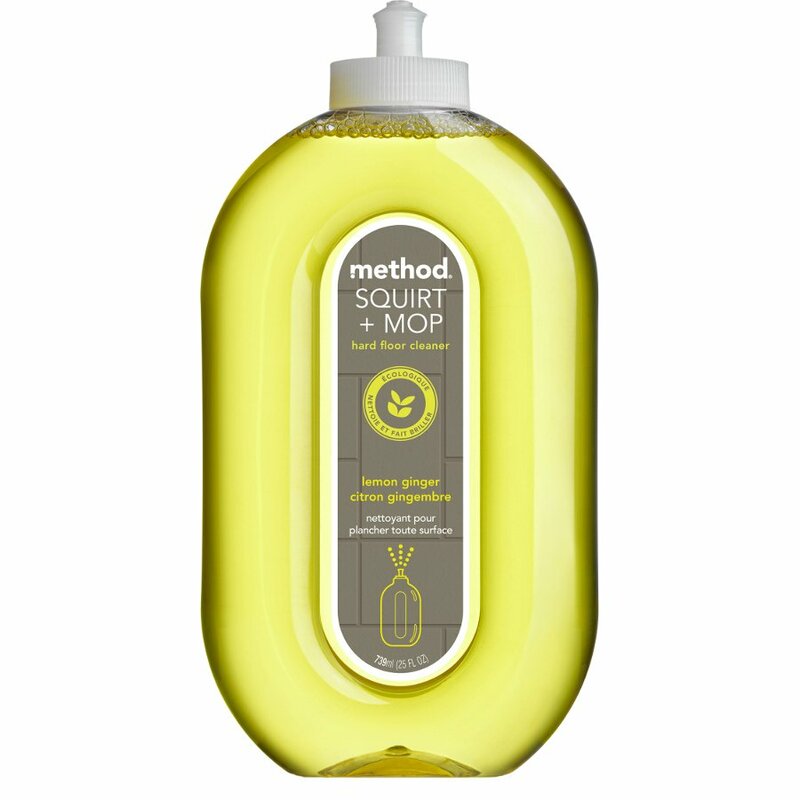 There are currently no questions to display about Method Squirt & Mop All Floor Cleaner - 739ml.